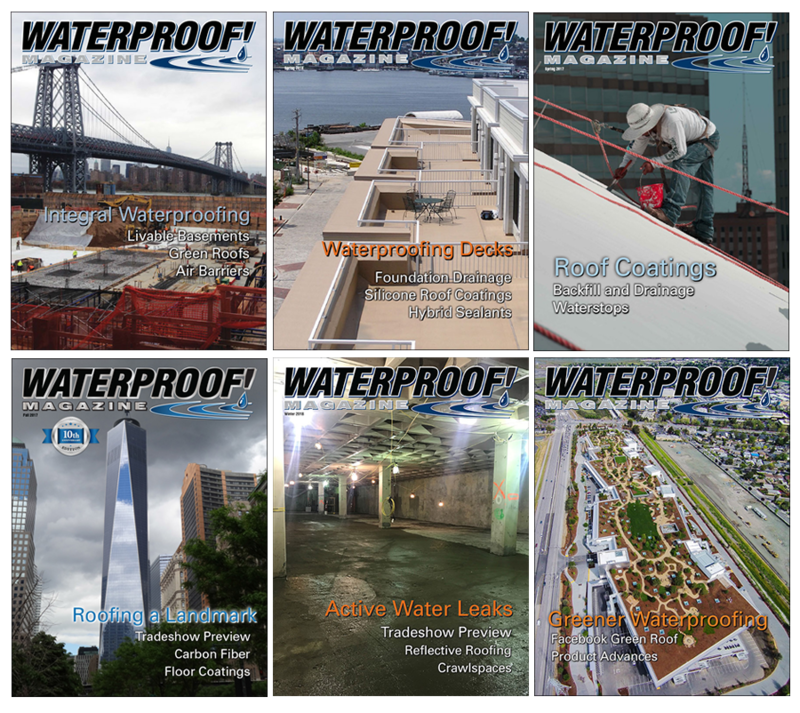 WATERPROOF!, a full-color quarterly magazine, promises to become the information resource for all types of waterproofers. Our readers include residential and commercial waterproofers, foundation contractors, and thousands of large roofing contractors. Our readership also includes architects, engineers, and specifiers who are looking for product information. The stories and features in the magazine are geared toward hardworking contractors and small business owners who need relevant information, written in plain English, applicable to his business and jobsite. We cover all aspects of the waterproofing industry—residential and commercial waterproofing, spray-on and sheet good. So whether your business or product is focused on below-grade work, roofing, or structural repair and foundation remediation, you’ll find WATERPROOF! to be the best place to turn for information. WATERPROOF! is mailed to more than 10,000 interested readers throughout the U.S. every quarter. With eye-catching graphics, vivid photographs, highly targeted audience and some of the best writing around, this is one magazine you can’t afford to miss. Please Note: Your subscription to WATERPROOF! Magazine will begin with the Summer 2019 issue. However, you will receive a complimentary PDF copy of the current issue (Spring 2019 ) at checkout. If you would like to receive a copy of other previous issues, please add them to your cart as “Back Issues”.